The SKB-TPX2 Roto-X Case is a scaled-down trap case that's Roto-Molded with the patented X-pattern for strength and durability. 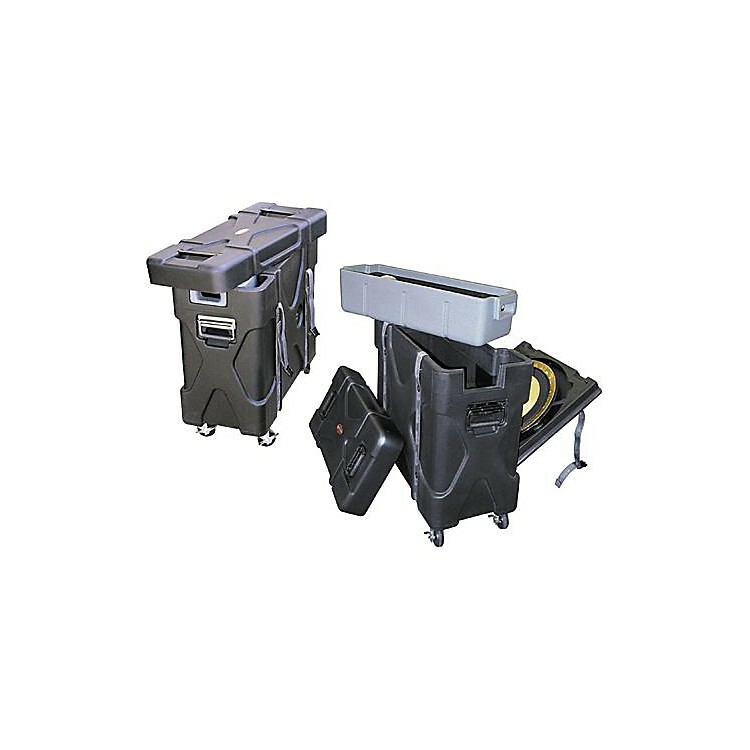 Made of polyethylene, TPX-2 is a top-loading drum case with removable lid and lift-off hardware tray. Sure Grip handles with 90 stops; 4 casters with brakes; and heavy-duty web straps with a sturdy, high-tension slide-release buckle. The SKB TPX-2 also features an integrated cymbal vault that holds up to 6 cymbals and has carpeted storage for a snare drum. SKB is a premier supplier of equipment and drum cases. SKB builds their products with military-spec, ultrahigh molecular weight polyethylene, and premium hardware. All SKB hardshell cases are unconditionally guaranteed forever. That means if you break your TPX-2 trap case, SKB will repair or replace it at no cost to you. Excellent transport designed to fit smaller drum kits. Order today. Interior compartment: 10"L x 10-1/2"W x 16-1/2"H.
Tray dimensions: 27"L x 8-1/2"W x 6-3/4"D.